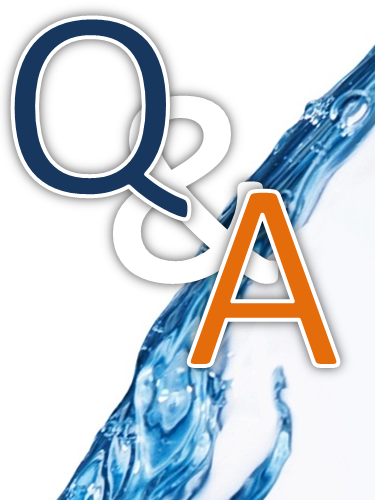 What is Integrated Flood Management? There is a need for an approach to flood management that improves the functioning of the river basin as a whole, recognizing that floods have beneficial impacts and can never be fully controlled. Such an approach seeks to maximize the net benefits from the use of floodplains and to minimize loss of life, subordinating flood loss reduction to the overall goal of maximizing the efficient use of the floodplain. 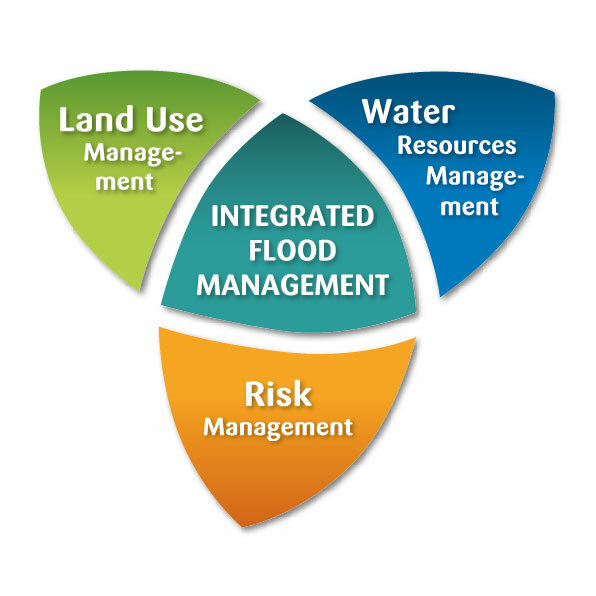 Integrated Flood Management (IFM) is a process that promotes an integrated, rather than fragmented, approach to flood management. 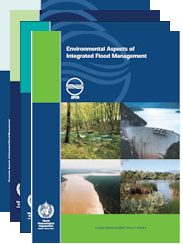 It integrates land and water resources development in a river basin, within the context of Integrated Water Resources Management (IWRM), with a view to maximizing the efficient use of floodplains and to minimizing loss of life. 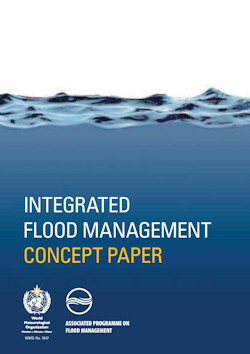 The according Concept Paper describes the principles, objectives and aspects of Integrated Flood Management in detail. Floods are important components of the natural hydrological regime. They are a major source of water; they flush pollutants and sediment from river networks. It is also natural for rivers to overtop their banks with greater or lesser frequency and occupy their flood plains. As a result, floods can cause property damage and bring death and injury to many communities. While there is no evidence as yet that the frequency or magnitude of flooding has increased world-wide, flood-prone areas are becoming increasingly more densely populated and thus more vulnerable. Consequently, a series of major flood disasters has occurred in recent years, with death and destruction being caused by such events in every continent. The concept of Integrated Water Resources Management (IWRM) has attracted particular attention following the international conferences on water and environmental issues in Dublin and Rio de Janeiro held during 1992, and it was emphasized that IWRM is a necessary criterion for sustainable development. This gave birth to a need for a participatory institutional mechanism related to water, from which the Global Water Partnership (GWP), an international network open to all organizations involved in water resources management, was established in 1996. Since then a considerable amount of clarity in IWRM concept and approach has been developed through a variety of literature. Population growth and economic growth exert considerable pressure on the natural resources system. Increased population and enhanced economic activities in floodplains further increase the risk of flooding. Designing for large floods must account of the likelihood of failure in cases of floods of magnitude below the notional design standard. Riverine aquatic ecosystems provide such benefits as clean drinking water, food, materials, water purification, flood mitigation and recreational opportunities. The magnitude and variability of the flow regime needed within a basin to maximize the benefits to society and to maintain a healthy riverine ecosystem must strike a balance between competing interests in the river basin. Intensity and duration of precipitation events are likely to increase due to climate change, resulting in an increase of the frequency of major floods in many regions. 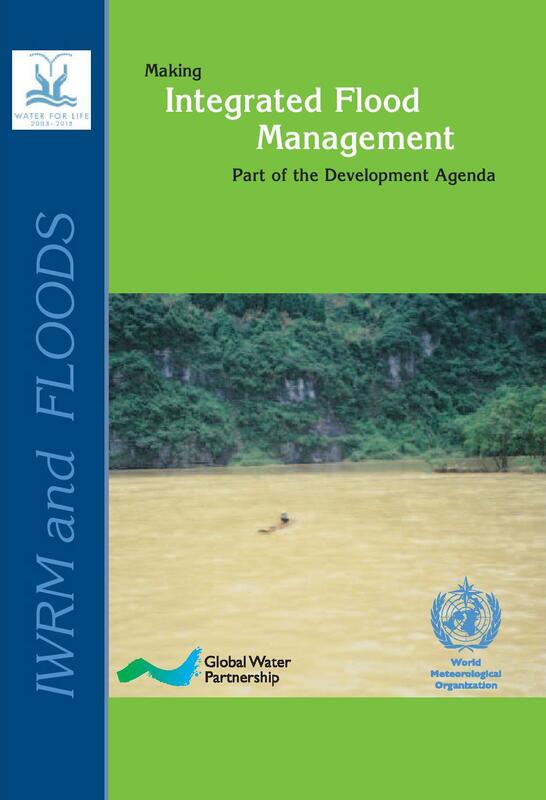 How do Integrated Water Resources Management (IWRM) and Flood Management interact with each other?